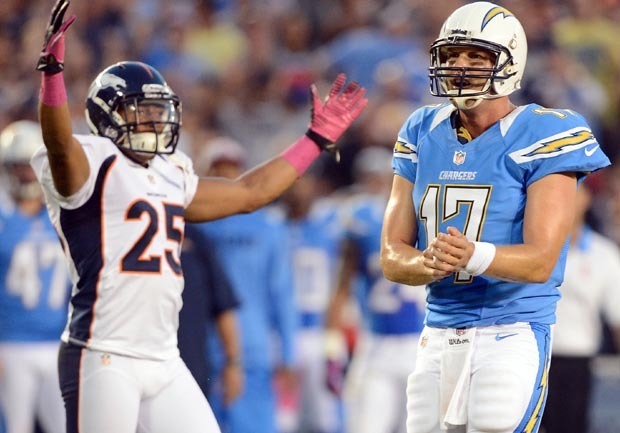 SAN DIEGO The NFL fined the San Diego Chargers $20,000 because a member of the equipment staff failed to immediately surrender towels when ordered to do so by a game official against the Denver Broncos on Oct. 15. The NFL also said in a statement Wednesday that after investigating the Chargers' use of towels that included an adhesive substance, it was determined that San Diego did not violate any rules. After consulting with the Competition Committee, the league said it has advised all clubs that the use of towels or other products that contain any type of adhesive substance is prohibited on game days until further notice. The Chargers said they will appeal the fine. Recently, Turner gave his explanation of the towel in question. "The questions that have been asked by the league involve a towel that's been used by this organization for over 10 years. It's used by a lot of teams in this league," he said. "The towel is used to dry the balls and dry the gloves that the players wear."